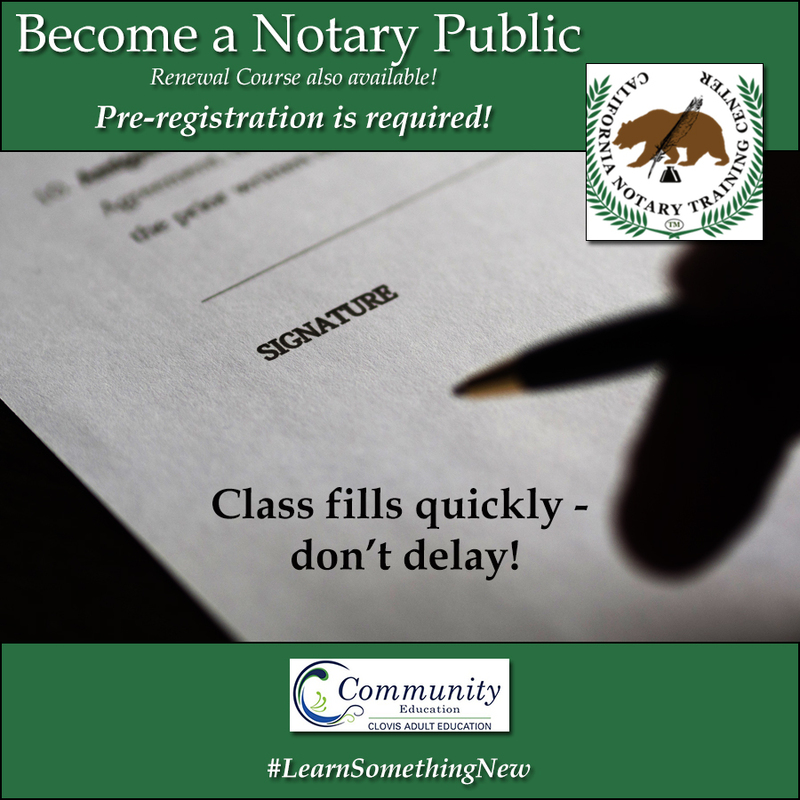 Become a Notary Public, or Renew Your Commission! Make extra money as a Notary Public. This one-day course will teach you everything you need to know to be a successful Notary Public and prepare you for the state notary exam. You must be at least 18 years old; a resident of California; be able to read, write and understand English; successfully complete the course; and pass a state exam and background check. Bring a current government issued I.D. and a $35 materials fee, payable to CA Notary Training Center by cash or personal check on the day of class. The state notary exam follows this course from 4:30-5:30pm. For the exam, bring a $40 check or money order payable to Secretary of State, a 2×2 color passport photo, and two #2 pencils. Additional costs for live scan fingerprinting, insurance, and supplies will be explained in class. Already have your notary commission, but need to renew? The Renewal Course is available as well. Both the full Notary Public course and the Renewal class take place on Wednesday, September 12, 2018. These classes fill up quickly – don’t delay! Register on our website, by phone at 55-327-2876, or stop by the Community Ed office on the Clovis Adult Education campus, located at 1452 David E. Cook Way, near the corner of Herndon and Sunnyside.